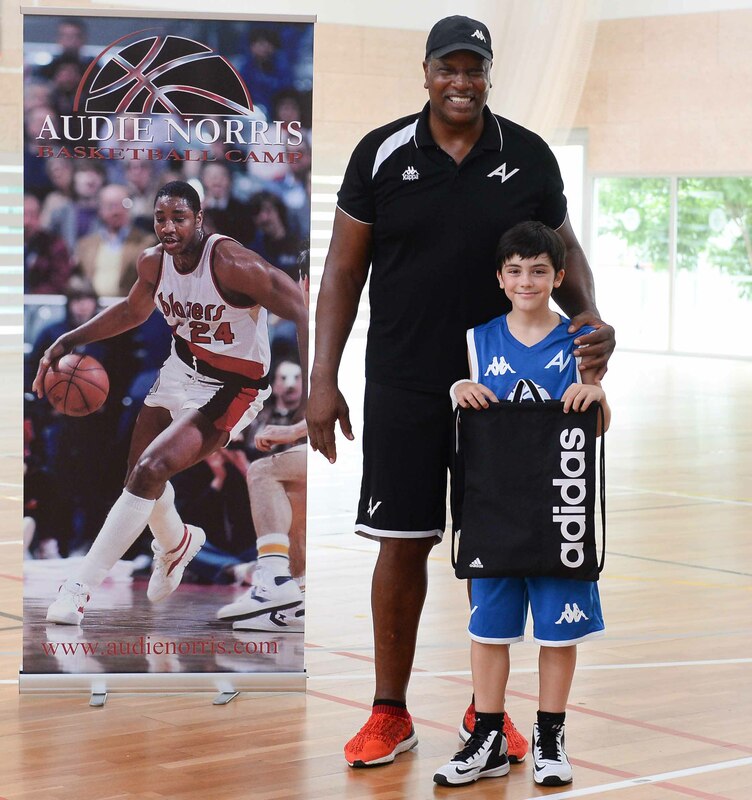 The Audie Norris Basketball Camp finished the 1st week of camp on a high note; the coaches did a fantastic job training, mentoring all of the kids in the camp. Our goal was to give them the fundamental tools they can use to continue training when the camp is over. The campers really enjoyed the training by the coaches they left feeling that they learned something new that they can add to their game. Congratulations to our campers who have worked very hard and have made improvements throughout the week. It has been an unforgettable camp, receiving visits from José Luís “Cuki” Galilea, Xavi Crespo and Nico van Den Bogaerd among others – to whom we thank you very much for your time and the affection with which you have always treated our camps. Campers have been able to learn a more in-depth understanding about the NBA and how to improve their shooting technique and other opportunities available to them through basketball. This Friday we wanted to finish big. During the morning English Class conducted by Coach Luis Romero and Coach Audie Norris, there was a very enjoyable and fun skit put together for the campers. 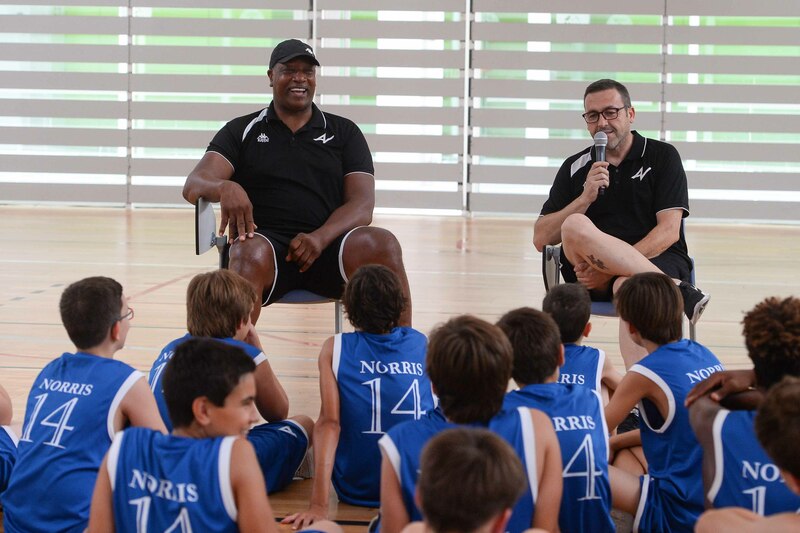 The kids had to play the role of agents, representing players or General Managers of an NBA team and had to express themselves in english to negotiate for the player and to negotiate the transfers of players. A different experience but they expressed themselves very well. The concept of our english class is an informal setting but it is designed to get the kids talking and expressing themselves in english. Coach Norris along with his coaching staff meet every morning before camp begins and at the end of camp to plan the training schedule each day. We evaluate the talent that we have in the camp that particular week and make a plan according to their level of basketball skills. Ball handling, passing, shooting, footwork or any other basic fundamental skills we work on them every day so that the campers can be consistent with their development. Coach Norris is always saying ¨repetition, repetition, repetition¨ it’s what helps a player improve. Friday’s guest speaker was one of our own, Coach Juan Couto who has explained his trajectory as a coach. 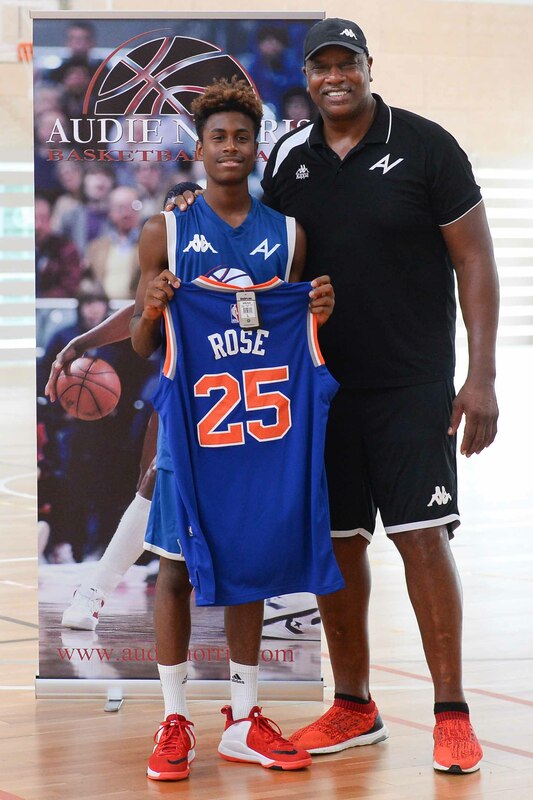 The information he shared with the campers was invaluable to them, he stated that he was once like them he went to camps, had ambitions of becoming a professional basketball player, but things didn’t work out the way he planned he had an injury that changed his plans as a player. Because he love the game of basketball and he couldn’t play it anymore he turned to his education and started coaching and he wanted to give back to the game and help young players improve their as basketball players. All of the campers gave him a big round of applause for sharing his experience with them. Bravo Coach Juan Couto. Coach Norris closed the lecture by say to the campers that you must continue your education, it is the primary thing that you should be focusing on it and it will take you further in life. Basketball is a privilege, not everyone will become a professional athlete so please keep your education as your main objective as you continue to grow as a student athlete. We always end our camp by organizing competitions for our campers, because after all the skill work they need to be able to perform those skills in actual game situations. This is the reward for all of the hard work and at the end of the competitions we have the awards ceremony. We have several different categories for the campers to compete. 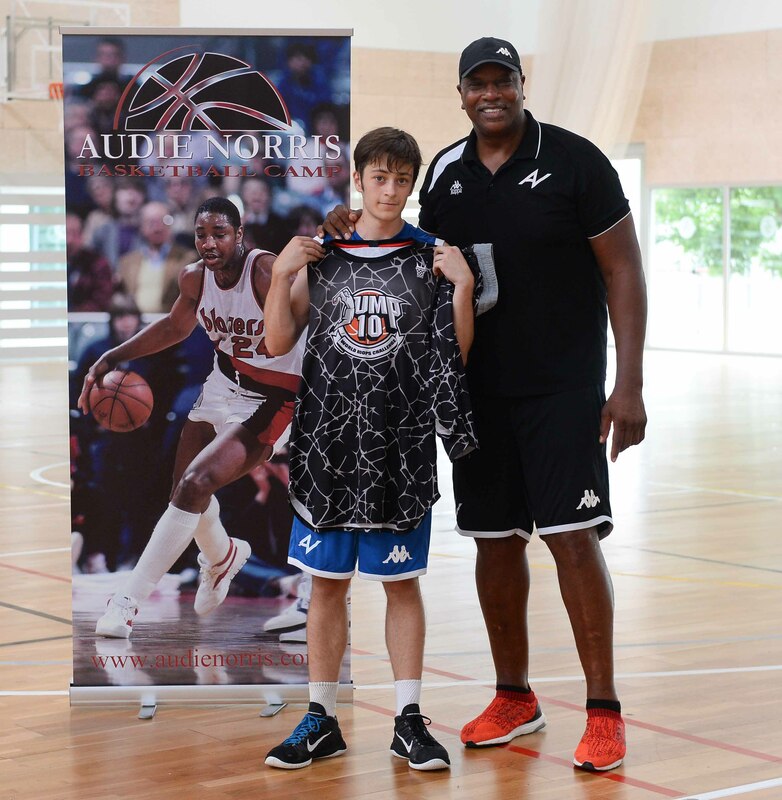 Several gifts were given to the winners of the 1vs1, 2×2, 3×3, the two-ball … We gave a special award to a young camper named Roger Avellana because he touched the hearts of all the coaches in the camp, when we first saw this player during the evaluation process we all had the same opinion that this was the worst player in the camp and he was, skill wise, but we found out that this was his very first time ever playing basketball. To our amazement the attention to listening to coaches, dedication to learning, the respect for his fellow campers, the effort that this young men gave to learning in the 5 days of camp was inspiring to us, all it reinforces to us why we do what we do as coaches and that is to teach the game to whoever wants to learn. Roger Avellana received the award for the Most Improved Player. He came without knowing how to play basketball and today he ended up playing like many of the other campers. 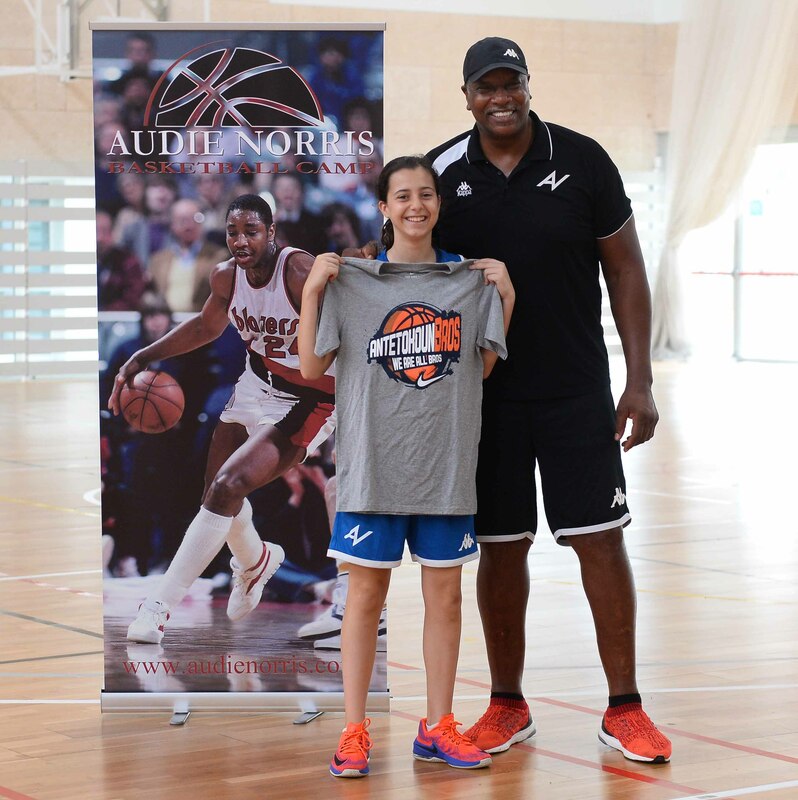 At the end of the camp the parents were most satisfied with the work of the Audie Norris Basketball Camp not just because of the training but because of the life skills we introduce to their children. They gave a big thanks to Audie Norris and his entire staff for the personal care and attention they gave to their children. The consequence of the great work by Coach Norris and staff is that many campers asked their parents to extend their relationship with the camp and come back the next week. A lot of the parents had the same idea: “Their children had such a great experience from everything they learned that they wanted more and they want to do a 2nd week”. We thank our wonderful coaches for all of the work, time, and effort they put into making this camp a success. This Saturday we will do the Beach Basket tournament in Castelldefels to finish rounding out the week of great summer basketball. THANK YOU!